Pulmonology | Connecticut | Internal Medicine of Milford, P.C. 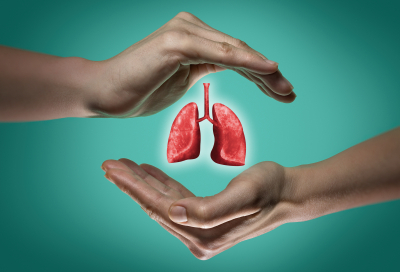 Pulmonology is the medical specialty that deals with the respiratory system (i.e. your lungs). Through specialized diagnostic testing, a pulmonologist can determine whether your lungs are functioning at their best. Pulmonologists, doctors who are specially trained to diagnose and treat disorders of the respiratory tract, can help you manage your asthma, COPD, bronchitis, and other lung disorders. If you are experiencing shortness of breath, chest pain, chronic cough, wheezing or other symptoms, your doctor may refer you to a pulmonologist and obtain further testing. Internal Medicine of Milford, P.C. has a board-certified pulmonologist, Dr. Ilene Rosenberg, on staff to consult and manage your pulmonary symptoms. In addition to her training as an internist, Dr. Rosenberg completed two additional years of training in pulmonary medicine at Yale. Dr. Rosenberg takes a comprehensive approach to all patient care, realizing that emotions, lifestyle, and other factors can all have a profound effect on your health. Dr. Rosenberg will collaborate with your physician to coordinate the best care for your illness. IMM offers on-site pulmonary function tests (PFT’s), and asthma care. To schedule an appointment for a pulmonary evaluation or pulmonary testing, please call us at 203-878-3531. PFT’s evaluate how well your lungs work. By measuring how much air your lungs take in, push out and circulate, your doctor and the pulmonologist can learn a lot about how well your lungs are functioning. PFT’s can be used to diagnose an illness or determine how well your current medications are working. When you are scheduled for a PFT, you will be asked not to eat a heavy meal right before and to refrain from smoking for at least 6 hours prior to the test. It is important that you follow the instructions of the test closely, as your cooperation can determine the validity of the results. For instance, you must tightly engage the seal on the mouthpiece. Spirometry is a test that records the amount and rate of the air you breathe in and out over a period of time. You will be asked to blow into an instrument called a spirometer. It’s possible that you could become lightheaded or dizzy from blowing strongly into the device. You will be accompanied by a pulmonary technician through the entire testing process. Patients who recently experienced a heart attack or other serious illness may be asked to refrain from PFT’s. Please be sure to tell your doctor if you’ve been recently hospitalized or experienced a serious illness. Need more information? Call 203-878-3531 or set an appointment at your earliest convenience.